“From father to son since 1760” – the tagline of Creed Fragrances says it all. Family oriented, classy and luxurious, Creed’s mission statement is to “create highly original fragrances of extravagant quality“. The House of Creed was initially such an exclusive perfumers that it remained largely unknown by all but the richest and most famous. They have found a niche providing perfume for everyone from heads of state to film stars. There is a lot of scandal surrounding the origins of the brand. A lack of evidence has led to many people doubting the reliability of statements presented as facts that appear on the company website amongst other sources. 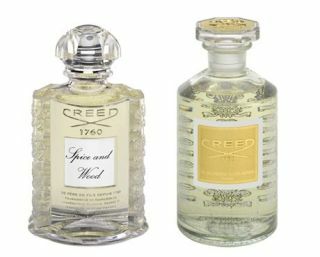 The story of Creed was said to begin when King George III asked founder James Creed to produce a fragrance for him. This led to the House of Creed being opened in London, and soon after, Queen Victoria employed Creed as her official supplier of perfume. Whatever it was that Queen Victoria saw in James Creed, the rest of the royals throughout Europe saw it as well. Napoléon III, Empress Eugénie of France, Emperor Franz-Joseph, Empress Sissi of Austro-Hungary and Queen Christina of Spain all took James Creed on as their supplier of fragrance. Eventually, Empress Eugénie became a patron of Creed, and with her support the brand relocated to Paris. The royal connection does not end there. Both Prince Charles and Diana Princess of Wales had fragrances exclusively made for them. Today, Olivier Creed and his son Erwin Creed run the company. They have boutiques in Paris, New York and Dubai. The brand today sells over 200 perfumes, arguably the most famous of which is Green Irish Tweed created by Olivier in the 80s. The company today has a reputation for using the highest percentage of natural ingredients in the French perfume industry. Olivier Creed travels the world to sample and select scents from many different countries. Due to the infusion technique now widely used in perfume production, it is possible to preserve the exact natural fragrance of the ingredients used. The process of making a Creed fragrance is undertaken by hand, in the tradition set by James Creed. 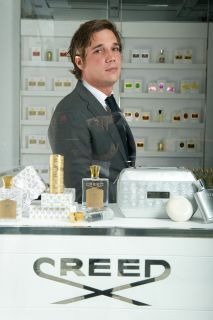 Creed fragrances do not work in a typical way; they do not have any development schedules and do not release perfumes until Olivier feels they are “ready”. This has led to the company going for sometimes five years without releasing any new fragrances. This departure from the program of relentless releases and constant new production followed by most other production companies seems to keep the quality of Creed fragrances unerringly high, and a fragrance is never compromised or hurried in order to meet a deadline. This is one of the aspects of Creed which makes the company so high-end and luxurious. This policy seems to work as Creed is said to turnover double the industry average every year. 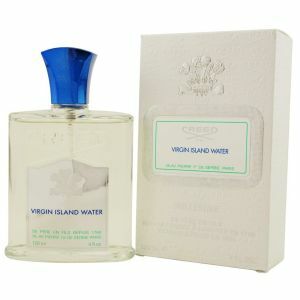 Launched in 2007, Virgin Island Water is refreshing, light and warm fragrance. Extremely unique, it opens with the fusion of citrus and coconut, which sets the tone for its entire lifespan. As a warm weather fragrance, this is almost peerless, but there are obvious caveats. The ingredients are all skilfully blended and top quality, like most Creeds. Given its price and brevity, this remains a luxury item, an indulgence. It works best in small doses, apply too much and it's like spilling a sticky Pina Colada over your suit. Green Irish Tweed is truly one of the most famous Creed colognes. Released in 1985, this iconic perfume has regularly been compared to Davidoff’s Cool Water (although Green Irish Tweed is arguably of much better quality) and it is an extremely masculine scent. This perfume can be worn at any time of the day as it is not overly heavy. Its scent opens with herbal ultra-green accord that will remind you of walking through a dewy valley at dawn brushing against moist dead leaves and moss. A true masterpiece that deserves to be in every Gentleman’s collection. 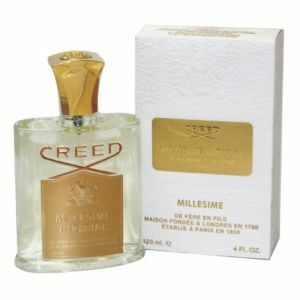 If Green Irish Tweed is earthy, then Millesime Imperial is lighter and more of a tropical, exotic fragrance. The scent varies from fruity marine to sweet cedar to a floral musk, and occasionally gets too spicy and a little woodier than what you might expect from an aquatic fragrance, but mostly is gentle and pleasant. Mature men may opt for the more serious and elegant tones of Green Irish Tweed as Millesime Imperial is designed for the younger man and exudes playfulness and is very summery. The company has been described as the “perfect model’ of a family business” with Olivier’s son Erwin holding the role of “senior perfumer”, and his daughter Olivia working as an art designer. Current owner Olivier is the sixth generation of Creed to own the company, and when it passes on to Erwin it will be the seventh. As well as the massive profit that Creed makes, it has a great reputation which is grown and maintained by each subsequent generation, as perfume is something they are all passionate about. The discretion that Creed employs is an important part of their success. For every high profile client that buys a personal fragrance from Creed, the company signs a contract stating that they will not release the details of the fragrance until a certain time; contracts last from five years to a lifetime. Their reputation for discretion and elegance has also been grown and maintained so that the business is regarded extremely well by its clients.